Today we’re talking about a LED Under Cabinet Light that can be used for a variety of purposes. It comes from Lighting EVER, a company dedicated to creating better lighting experiences. Before we continue discussing all the ways you can use it, let us focus first on the light itself. Each light is powered by 4pcs AAA batteries that provide 6W and 40 lumens of brightness. One of the most important features is the advanced motion detector that thanks to a built-in PIR sensor allows it to turn on automatically when it detects movement. This is especially useful for night situations since it can detect within 9-16 feet. As for the duration, it lasts for about 30 seconds each time motion is detected. This LED Closet Light comes with a motion detector that turns it on automatically. Another advantage is the installation. It’s easy to set it up since the light has a sticky foam base, meaning you can mount it pretty much anywhere. Not to mention you won’t be needing any tools to do so. The adhesive is strong and will hold for longer periods of time. 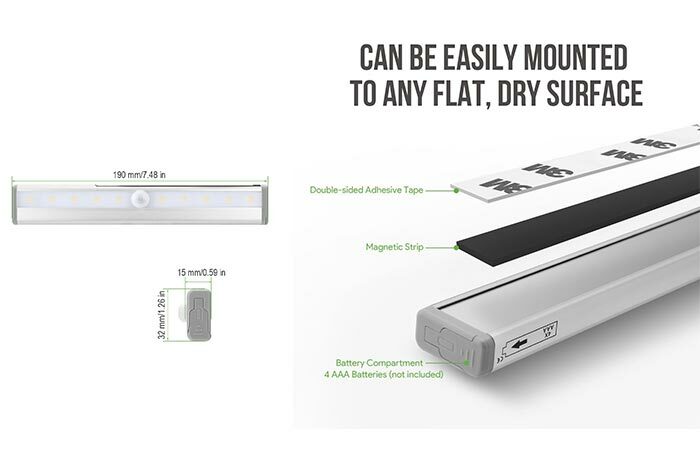 Also, it comes with a magnetic layer so when you need to change batteries, all you have to do is detach the body without having to remove the fixed light. The light is easy to set up, it is durable and can be detached if you need portable emergency lighting or want to change the battery. All these features provide you with plenty of options. 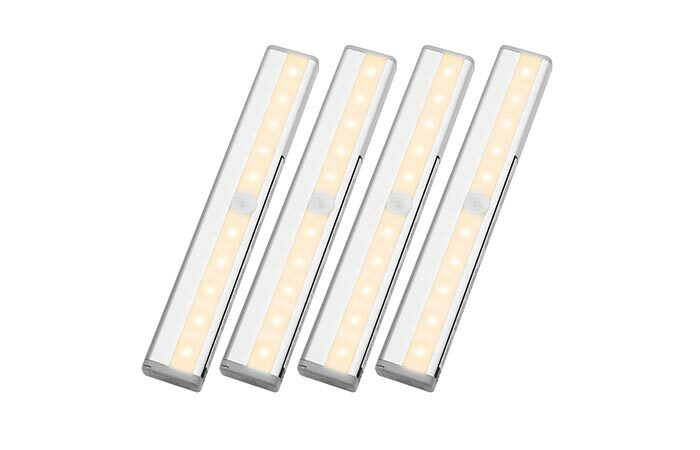 Besides using it in the closet, the light is perfectly suitable for restroom, hallway, children’s room, workshop, garage, stairwell, you name it. And since it’s easy to detach the light, it can be used for emergency situations as well. In the pack, you get 4 lights, user manual, and a one year warranty. Learn more at Lighting EVER.